A reliable, quality heating solution for your Indianapolis home is of prime importance to deal with our frosty winters. And while Service Plus Heating, Cooling & Plumbing provides a wide array of excellent furnace and heat pump systems, there may be an even better option. Radiant floor heating is hands-down one of the best methods of maximizing comfort while minimizing heating costs, and our experts can provide radiant heating installation that is sure to guarantee a cozy winter season! The more commonly found heating solutions, like furnaces, usually work by blowing forced, heated air through a series of ducts within your home. They’re quite effective for providing a burst of warmth, but the system is somewhat flawed when compared to radiant floor heating. Radiant heating makes use of either tubing and pipework (hydronic), or cables and looped coils (electric) installed directly beneath your flooring. This system provides a very even, bone-warming quality of heat that remains peerlessly consistent all season long, and avoids the common issues of standard heating like cold-spots and uneven home temperatures. Radiant floor heating systems are at the top of the class in performance and efficiency, and our experts are always happy to work with them. When you need the best in home or commercial business heating, radiant heat can’t be beat! Our experts can assist you by finding the perfect solution for your home using either electric radiant floor systems or hydronic heating systems, according to your wants and needs and which option best fits your home. When the experts at Service Plus install radiant heating in your home, we always go the extra mile by performing a comprehensive check of our work to ensure total quality and a perfectly functioning heating solution. Considering installing radiant floor heating in your Indianapolis home? Contact Service Plus today! Radiant heating systems are hardy and rarely encounter troubles. But even the best of systems have a hiccup every now and then, and when it does, you need the guarantee of a reliable and effective heating system repair service. Our professionals use top-notch diagnostics and tools to meet your repair needs, quickly restoring your comfort as fast as accuracy can allow. Or if you’re dissatisfied with your system’s current performance at all! If you’re looking for an installation professional, repair services, or just need your yearly radiant heating system maintenance services, we’re the HVAC contractors for you. 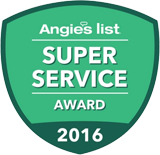 Our patrons have been looking to Service Plus for trusted service and quality for years, and we would love nothing more than to extend that unparalleled service to you and your home. Contact us today to set an appointment for your consultation!